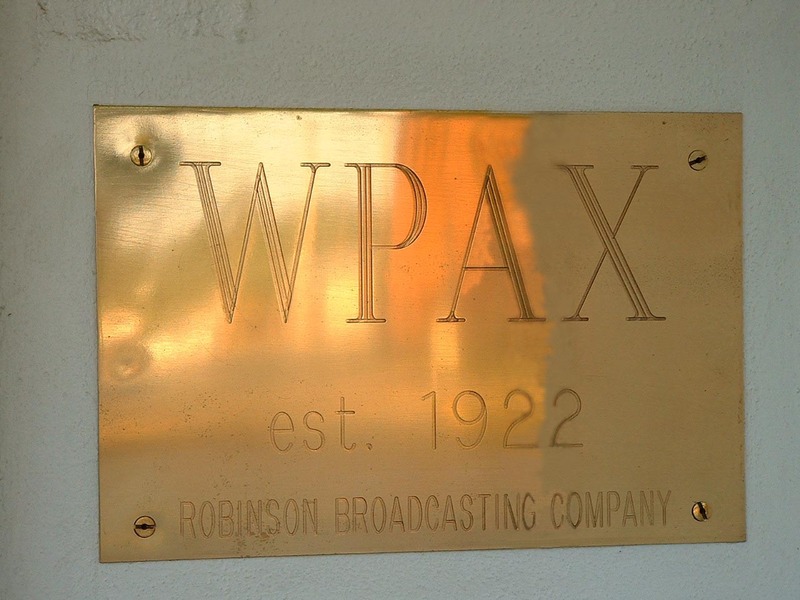 History When you first walk into the WPAX & WTUF station in downtown Thomasville, you may not notice the brass plate on the front door that simply states "Established 1922". What you will notice as you enter the lobby, are the pictures covering the walls. These pictures at first seem obviously older black and whites and display a quiet and modest history. If you examine these pictures a little closer, you start to notice some famous people like Barry Goldwater shaking hands with Hoyt Wimpy the founder, and President Jimmy Carter sitting behind a WPAX microphone. 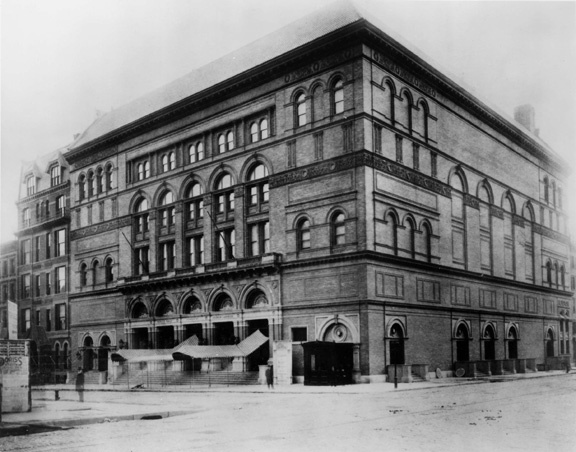 The one picture that really caught my eye was of this same building I was standing in, back in 1934. That was a long time ago ! The more I learned, the more interesting it became. WPAX is the 20th oldest radio station in the United States and the 3rd oldest station in Georgia. It's still on the air, still in the same building, and still playing some of the same beautiful songs. Although it is now run by it's fourth owner, who also DJ's on a daily basis. WPAX broadcasts it's warm and mellow theme of "The Music of your Life". It's a nice mixture of everything from Adult Contemporary, and Jazz, to Big Band Era, Blues, and the Classics like Frank Sinatra, Barbra Striesand, and Ella Fitzgerald. Some artists you may have never heard before. Some will be bring back a terrific memory and a little smile. Between the music and the photos you can't help but feel like you're back in the good ole days. No matter what age you are, we hope this page will bring back a happy memory for you. 1904 Wireless (as it was then called) was mainly used to converse with ships at sea. The U.S. Government starts transmitting "Daily Time Signals" from Naval shore stations to synchronize the ships clocks. 1912 Amateur radioers located near New York listen to the disastrous sinking of the Titanic. 1917 Amateur radioers are forced to shut down due to War time restrictions. That's "WWI" in case your not paying attention. 1919 Following the end of WWI, "War time restrictions" are lifted on amateur radioers. To help restore the interest in listening, the "Navy Department" (now know as the Defense Department) started a nightly broadcast of various interest from a Naval station in New York. 1921 Department of Commerce starts issuing a "Broadcast Service" license for broadcasting of "news, concerts, lectures, and like matter". The development of the vacuum-tube ( remember these ? ) greatly improves the radio transmitters and receivers. July 2, RCA broadcast the Heavyweight Boxing Championship with Jack Dempsey beating Georges Carpentier. Amateur radioers setup their equipment in halls and charged admission, starting the radio boom of 1922. 1922 Department of Commerce prohibits broadcasting on amateur license. Variety headlines of Mar - 10 read "Radio Sweeping Country - 1,000,000 sets in Use". President Harding makes speech at the dedication of the Francis Scott Key Memorial, which becomes the first live presidential radio broadcast. Dec. 27, Hoyt Wimpy, a Thomasville businessman sells receivers (radios). At this time there wasn't much on the air and the reception of distant radio stations was terrible. If you were a smart business person, what would you do? Well, Mr. Wimpy obtains a license from the Department of Commerce and starts a one-man station out of a garage with the call letters WPAX. 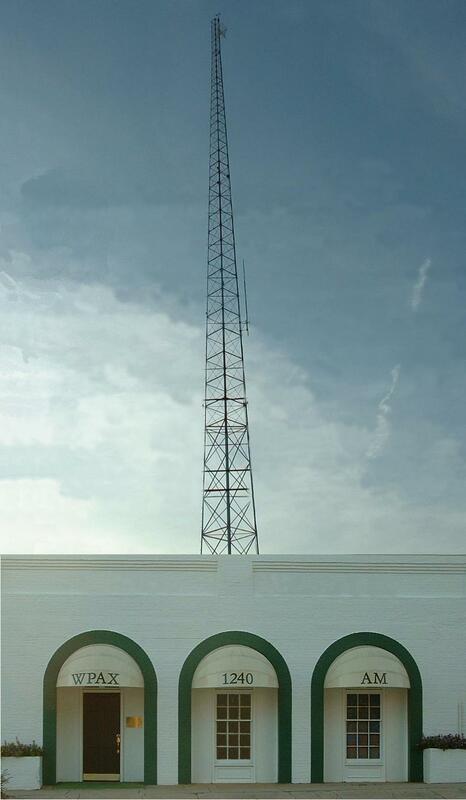 Operating with 10 watts of power ( fewer restrictions and other signals to interfere back then ) he becomes the 20th licensed station in the United States and 3rd licensed station in Georgia. Now the signal has been heard as far away as Australia. 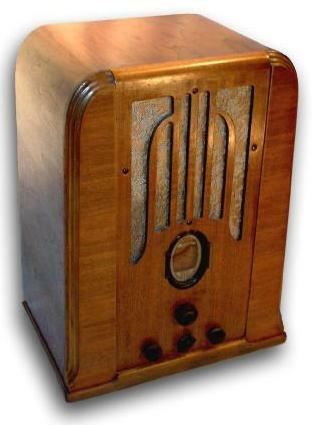 The above picture is the actual broadcasting system used by WPAX in 1922. 1923 President Coolidge addressing Congress is heard by a million people over the radio and the EverReady Hour presented Wendell Hall playing "It Ain't Gonna Rain No Mo No Mo" with his ukulele. 1924 Coolidge is first President to broadcast from the White House. 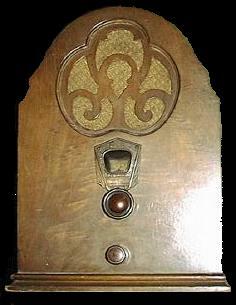 1925 "The Grand Ole Opry" formally know as the "WSM Barn Dance" made it's inaugural broadcast. 1928 The Chicago broadcasters have abandoned the voluntary 'silent night' started about four years ago. 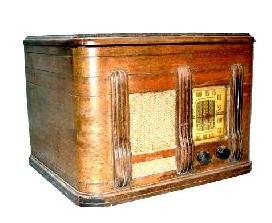 The stations had a 'gentlemen's agreement,' to stay off the air on Monday evenings for the long distance ham radios. Broadcasting has now resumed every night of the week for fear the local wave lengths would be permanently assigned on Monday nights to other stations. 1929 One of the original Soap Opera's "Amos 'n' Andy," gained national popularity. 1930 William Gillette is the first Sherlock Holmes in the hit mystery drama. Mr. Wimpy's little garage radio station now fills the dead air on local radios and both the Radio sales and WPAX are doing well. Sometime during the early 1930's ( not sure of exactly when ) Mr. Wimpy, being a pretty smart gentleman, moves WPAX from the garage into downtown Thomasville. He increases the power 10 times and now broadcast at a whopping 100 watts ( about the same power as a common light bulb ). Besides playing phonograph records on his Victrola placed next to the microphone, the daily broadcasts also include the local news, and the talents of the local citizens. The Metropolitan Opera starts a weekly Saturday Afternoon Broadcast. 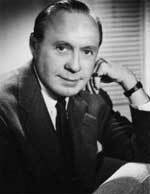 1932 Jack Benny's first radio Show is aired. 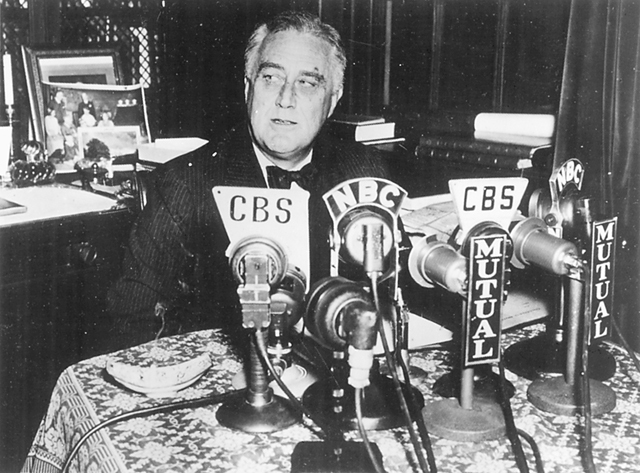 1933 President Roosevelt's first Inaugural address "the only thing to fear, is fear itself", and later that same year delivers his first "Fireside Chat". 1934 William James Basie takes over as the Leader of the band "Blue Devils" . The crowds of the Kansas City nightlife decides since there is already a "Earl Hines" and a "Duke Ellington" why not a "Count Basie". With a hardy "Hi Ho Silver", One of the best-known fictional characters of all time "The Lone Ranger" hits the air waves. Hoyt Wimpy relocates WPAX to it's current location at 117 Remington and puts up a 210 foot self supporting broadcast tower, which is not only still standing, but is also a community landmark to this day. Mr. Wimpy also made one final improvement, which was to up the signal to 250 watts. 1935 Benny Goodman and his Orchestra open at the Palomar Ballroom in LA; this is where he will earn the nick name "The King of Swing". 1937 Fred Allen starts one of the longest running fueds in radio history when he makes a series of jokes about comedian named Jack Benny. Catholic religious authorities flood the networks with complaints about a sketch called the "Garden of Eden" where the infamous Mae West delivers the line "Why Don't You Come Play In My --- Woodpile". 1938 Benny Goodman plays at Carnegie Hall, tickets reach an unheard of cost at $2.75 per seat. Filling in for the Fred Allen show Abbott and Costello become big hits with a routine called "Who's on First?". Later that year Orson Well's "War of the Worlds" is broadcast. 1940 Frank Sinatra and the Tommy Dorsey Orchestra record nearly 30 songs together. Glenn Miller records "Tuxedo Junction". CBS in conjunction with the BBC start airing "London after Dark" making the bombing attacks on London real to the American public. Glenn Miller's Plane in route to Paris disappears. Aug - 14 CBS is the first to flash the news "Japan Surrenders"
Arthur Godfrey starts his first of 27 years broadcasting on the CBS network. 1946 "The rest of the Story" is added to the Paul Harvey daily newscast, and continues today here on WPAX. 1947 Globe trotter Lowell Thomas returns to CBS hosting the evening news with his familiar sign-on "Good evening, everybody" and his sign-off "So long, until tomorrow". 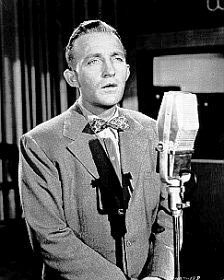 1949 Bing Crosby starts annual "Christmas Sing with Bing"
1950 One of the top songs of the year was "The Fat Man" by Fats Domino, and in the news North Korea attacks South Korea. Eisenhower deploys Military Assistance Advisory Group to train the South Vietnam Army. 1957 Count Basie's album "One O'clock Jump" is released. May 1st, a Miami DJ suddenly quits, the 23 year old sweeping the floors gets a big break and fills in for the DJ. The floor sweepers name was Lawrence Harvey Zeiger, more well known today as "Larry King". One of the top songs of the year was "Jail House Rock" by Elvis Presley. A 15-year-old working at WPAX reads commercials from a file book live over the air. He's read them so many times, to this day he can still recite some of them. Find out who that 15 year old boy is when you get to Oct. 1, 1985. The Recording Industry Association of America announces it's first gold album with Perry Como's hit single, "Catch a Falling Star". 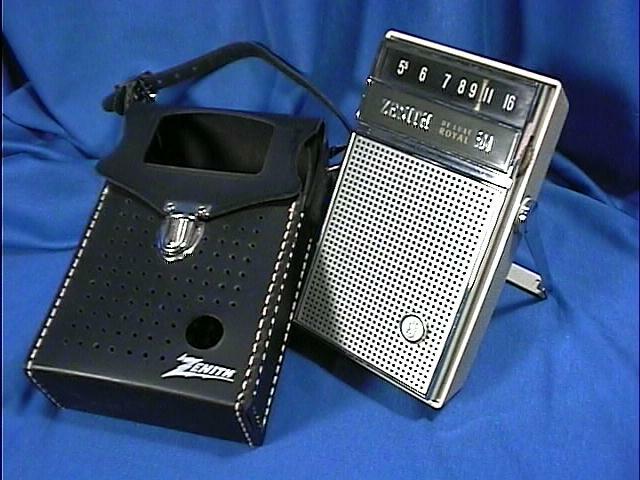 The early 60's also brought the Transistor Radios, commonly furnished with leather cases and ear phones. 1961 Mr. Wimpy retires and WPAX was sold to Frank Hazelton and Hurley Rudd of Tallahassee, Florida. Operating under the business name Radio Thomasville Inc., Don Price, president. 1962 Seven radio stations assisting the Voice of America in reaching listeners in Cuba. Using imagination in broadcasting to catch the Castro regime off guard. Some of the most powerful stations in the East and South have scrapped their regular evening schedules and relayed the Voice of America's Spanish-language broadcast to Cuba. The importance of using the standard radio stations is that their signal reaches loudly and clearly into Havana and can be tuned in on regular radios getting the most extensive use carrying Spanish-language programs designed by refugee groups to combat Castro arguments. Henry Mancini produces two instrumentals singles for the films "Hatari" ("Baby Elephant Walk") and "The Pink Panther" ("The Pink Panther Theme"). Andy Williams recording of "Moon River" is used in the movie "Breakfast at Tiffany's". Moon River wins an Oscar and quickly becomes Andy's theme song. 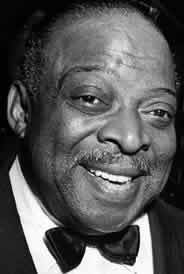 1963 Count Basie records two albums, "Ella - Basie" and "Sinatra - Basie". Arguably Ella Fitzgerald's and Frank Sinatra's best albums. Listeners around the world are shocked as the phrase "The President has been Shot" is suddenly broadcast from their radios. People stop whatever they are doing and listen closer to hear the details of President John F. Kennedy's assination. 1965 WPAX is sold to it's third owner George Oliva Jr., who owns several stations in Ohio, Florida and Georgia. 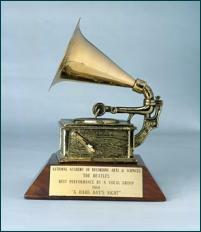 Frank Sinatra wins a Grammy Award for his album "September of My Years"
1966 Frank Sinatra wins a Grammy Award for his album "A Man and His Music". He also records "At the Sands with Count Basie"
January 21 - US B-52 Stratofortress crashes in Greenland and in the process discharges four nuclear bombs. Man leaves his footprint on the surface of the Moon. Almost everyone around the world is listening to Neil Armstrong as he announces over the radio waves from the Moons surface, "That's one small step for man but one giant leap for mankind." 1971 An employee at the National Emergency Warning Center at Cheyenne Mountain, confused, put on the wire to the country's radio and television stations, a punched tape that are prepared in advance, with a message saying that the President had declared a national emergency and that normal broadcasting was to cease "immediately." Causing turmoil and further confusion, a number of stations around the country went off the air after telling listeners of the "emergency." Others quickly checked and found that the transmission was an error and continued normal broadcasting. WPAX celebrates it's 50th Birthday! Billed as The Battle of the Sexes, Billie Jean King defeats Bobby Riggs 6-4, 6-4, 6-3. American folk singer Jim Croce dies in a plane crash. Columbia Broadcasting System (CBS) sells the New York Yankees for $10 million to a 12-person syndicate led by George Steinbrenner. OPEC nations end a five-month oil embargo against the United States, Europe and Japan. April 3 - The Super Outbreak, the largest series of tornadoes in history, hits 13 U.S. states and one Canadian province. By the time the last of 148 tornadoes hit early the following morning, 315 died and over 5,000 were injured in a single 24 hour period. April 8 - Hank Aaron of the Atlanta Braves brakes Babe Ruth's home run record by hitting his 715th home-run off Los Angeles Dodgers pitcher Al Downing at the Atlanta-Fulton County Stadium. Fugitive Patricia Hearst is captured. It's Red, White, and Blue every where. The United States celebrates it's 200th Birthday! Say welcome to Stacey Scoggin, the First Female DJ to hit the air waves in Thomasville. ( Listen closely, you can still hear her commercials today ). A Nuclear power plant at Three Mile Island, Pennsylvania, releases radiation . The first user net experiments were conducted by Tom Truscott and Jim Ellis of Duke University. Hyatt Regency Hotel skywalk collapsed in Kansas City, Missouri killing 114 people. 1985Oct - 1st, Radio license awarded to LenRob Enterprises, The new, current, and only the 4th owner of WPAX, and yes, back in 1957 Len Robinson was reading live commercials at the age of 15. WPAX is on the move with a new sister station, LenRob enterprises annouces the opening of WTUF FM106.3 and hits the radio waves from Boston Georgia. A 1,000 foot diameter Near-Earth asteroid misses the Earth by 400,000 miles. The oil tanker Exxon Valdez spills 11 million gallons of crude oil in Alaska's Prince William Sound after running aground. January 17 - Operation Desert Storm begins. The Missouri and Mississippi Rivers flood large portions of the American Midwest. April 22 : Former American President Richard Nixon dies. WPAX celebrates it's 75th Birthday! President Bill Clinton is impeached by the House of Representatives.